"Regardless of everything scientists have learned about the Maya so far, we constantly encounter unanswered questions. No one has satisfactorily explained where or when Maya civilization originated, or how it evolved in an environment so hostile to human habitation. We have almost no reliable information on the origin of their calendar, hieroglyphic writing, and mathematical system; nor do we understand countless details pertaining to sociopolitical organization, religion, economic structure, and everyday life. Even the shattering catastrophe leading to the sudden abandonment of their greatest cities during the ninth century A.D. -- one of the most baffling archaeological mysteries ever uncovered -- is still deeply shrouded in conjecture." "The Maya could choose which temples to worship in and support; they had a voice in who succeeded politically". The ancient Mayas (alternatively called as Mayans) are a diverse group of indigenous people who lived in parts of present-day Mexico, Belize, Guatemala, El Salvador and Honduras. It is regarded as one of the most important pre-Columbian Mesoamerican cultures. The Mayas were well advanced in various fields like architecture, science, mathematics, communications and so on and so forth. Maya's architecture ranges from small huts, to large houses, to beautiful, elaborate temples. 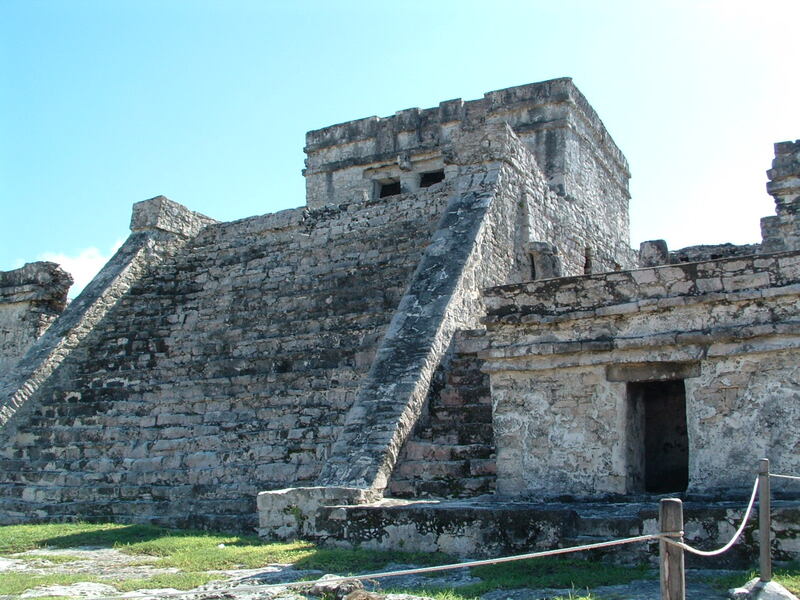 It was initially thought that ancient stone pyramid temples of the Maya were built by their royalty. Later, the belief that any number of different factions among the Maya - nobles, priests and maybe even commoners may have built temples is gaining strength. The first temples of the Maya arose more than 2,000 years ago. Their word for these stone pyramids was the same as their word for mountain. The temples were obviously built for religious purposes. 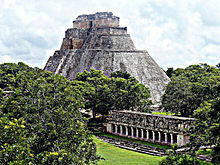 The towering temples are always considered one of the remarkable achievements of the Maya civilization. They were elaborate, impressive and decorated. The Sun Temple was built to worship the sun god. Inside of these temples, they Mayas preformed all type of ceremonies within two small, stepped, dark rooms inside of this temple. Faces of the mayan gods were carved on the wall. The steps were usually wide and steep. Sometimes, the steps were placed on the back side of the top of the building so ample space was left between the front and the sets of steps that gave access to them. Temples generally have only two chambers, one behind the other. One could enter by a door which opened on the far wall. The interior chambers were used as a sanctuary and the exterior rooms were used for less reserved ceremonies. In a palace, the type of construction was almost always two long files of chambers, one behind the other.